Texas Instrument was so kind to send the eZ430-Chronos Development Tool. 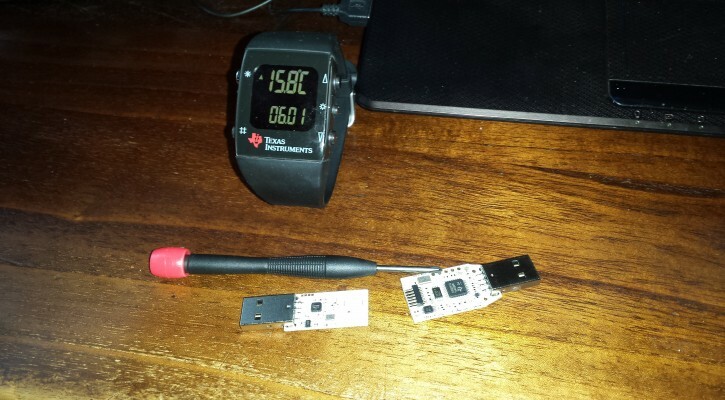 Its a watch that comes with an USB programmer and an USB access point and a screwdriver! YES no kidding! 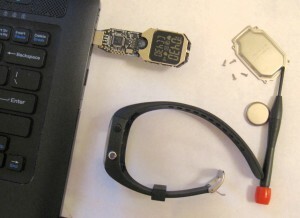 Although you can connect with it wireless you are actually encouraged to open the watch and use the usb programmer! Its on the market sinds 2010 and evolved a bit in time. I was lucky to get the latest version. To make it more fun it can also act as a hub for a speedometer (pedometer) and heart rate sensor. There are loads of options you can do with it. Just see for yourself if you’re interested. It comes with its own “Control Center” software and you can build your own software/firmware with Code Composer. What I really like is that you can control you pc with this watch very easy. And amazing.. its can show you the time too! YES! Its like you can use your mobile to make phone calls! Share the post "EZ430-CHRONOS a watch that comes with a screwdriver"
Share the post "Updating the Raspberry pi (and firmware)"